Many businesses have heard of marketing automation, but many still want to know, “what is marketing automation?” Marketing automation software is a type of software that helps to automate certain marketing tasks. Automation allows for more accuracy, thereby improving the effectiveness of your marketing campaign, as well as providing you more control over marketing actions, thereby improving efficiency. For example, you can use email segmentation to deliver more relevant and personalized content to your leads. You can program the content you create to automatically post to various platforms at specific times. When you look at almost any industry, you’ll find that marketing automation is being adopted at an incredible rate. This is because marketing automation provides almost countless benefits, many of which provide instant improvements to one’s marketing efforts. By implementing marketing automation, you’ll simplify routine marketing tasks, thereby allowing you to use your resources much more efficiently. It will also allow you to establish a more consistent brand presence across all platforms and personalize your interaction with consumers more effectively. Additionally, you can leverage automation to collect data concerning customer behavior, thereby allowing you to nurture your leads more effectively. Check out our article on the benefits of marketing automation for more in-depth detail. How is Marketing Automation Different From Email and CRM Services? The importance of inbound marketing cannot be overstated. As such, you’re going to find that there are many different marketing tools that you can implement. It can be a little overwhelming — and sometimes it can be difficult to tell what the difference between the various software solutions are. For example, when you read about marketing automation, you may be confused as to how it offers anything different from typical email and CRM services. Marketing automation gives you much more control over your email marketing campaigns. While email service providers can provide helpful metrics that can help you improve your email campaign, marketing automation gives you the chance to nurture your leads much more effectively from the outset. When it comes to the sales funnel, you’ll want to use both marketing automation and CRM. Whereas CRM will help you nurture leads at the bottom of the sales funnel to help close leads, it’s marketing automation that will help you capture leads at the top of the sales funnel. CRM vs. Marketing Automation Strategies; What is The Difference? What Are The Different Marketing Automation Services That Are Available? 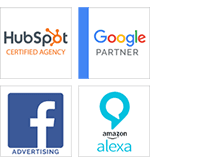 Once you realize how important marketing automation is to the success of your long-term marketing efforts, you’re going to be faced with having to choose from numerous different marketing automation tools. The tool you’ll want to choose will depend heavily on what your needs are. For example, some tools offer basic marketing automation capabilities that are more user-friendly, while others provide much more functions that are more helpful for larger marketing campaigns, but may require some know-how to use. It’s worth noting that these tools come at different price points, which depend on the features that they packages provide. Some of the more popular marketing automation tools on the market include Marketo, Eloqua, Constant Contact and Userfox; however, if you’re just beginning to use automation and are looking for one of the more well-rounded marketing automation software tools on the market, then you’ll want to consider HubSpot. When it comes to marketing automation, HubSpot is an excellent option due to its features, flexibility and user-friendliness. Not only can it provide you with better control and function across all of your platforms (including CMS, CRM, social media, landing pages, email marketing and more), it’s a centralized, all-in-one inbound marketing and sales platform that you can use at every stage of your marketing campaign, including attracting leads, converting leads, and closing sales. How Does Marketing Automation Benefit Different Industries? One of the benefits of marketing automation is that it’s hugely helpful to businesses in any industry, whether you’re marketing B2B or B2C. Take for example senior living communities. Seniors and those in charge of making decisions (such as family members) are likely to have a lot of questions and will be in search of a lot of information. The use of marketing automation allows you to target different personas and speak directly to them about what their specific concerns are. You’ll also be able to publish more content and react to customer engagement more quickly, which will allow you to be more personal in your communication.